During his childhood, Strange resided in Pittsburgh, PA, where his father (Richard Eugene Strange, b. 1928) was director of bands at Carnegie Mellon University. Strange’s mother (born Marian Lucille Box, 1928) and older brother (Steven Strange, b. 1952) played piano at home as Strange grew up. As a young adult, Strange lived in Phoenix, AZ, where he studied jazz and began playing professionally. 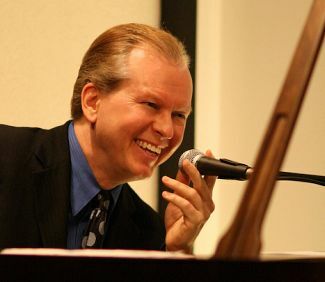 Phillip Strange has studied at Arizona State University (BM Instumental Music, 1984; MM Piano Performance, 1988), and the University of Miami (DMA Instrumental Jazz Performance, 2003). Strange’s jazz piano teachers include Clare Fischer (lessons from 1982-1983), Chuck Marohnic (lessons from 1980-1988), and Vince Maggio (lessons from 1999-2002). Strange has studied classical piano extensively. Classical piano teachers include Robert Hamilton (lessons from 1986-1988), Stephen DeGroute (lessons from 1985-1986), and James Ruccolo (lessons from 1978-1984). Strange performed six piano concerti with the Tempe Symphony (Tempe, AZ, 1980-1987). After graduating from Arizona State University in 1988 (BM Instumental Music, MM Piano Performance) Strange moved to Kobe, Japan, where he taught jazz at Koyo Shool of Music, and played professionally. In 1999, Strange moved to Miami, FL to study and teach at the University of Miami. Strange has been an active jazz pianist, composer, and music educator for the past twenty-eight years. In addition to numerous tours and recordings, he has performed throughout the USA, Canada, Europe, and Japan. Strange has performed or recorded with such jazz artists as Joe Henderson, Lew Tabackin, Dave Holland, Ernie Watts, Harry “Sweets” Edison, Peter Erskine, “Slide” Hampton, Marc Johnson, Jon Faddis, James Moody, Frank Gambale, Richie Cole, Kazumi Watanabe, Dave Carpenter, Ira Sullivan, Mike Miller, the Glenn Miller Orchestra, Melton Mustafa, Allan Harris, Cathy Segal-Garcia, and many more. Strange has taught at Arizona State University, and the Interlochen Center for the Arts. He has given recitals and master classes at various universities in the US, including the State University of New York (Plattsburgh), the University of Illinois at Champaigne-Urbana, and Michigan State University. Strange is currently a lecturer in the Studio Music and Jazz Department at the University of Miami.